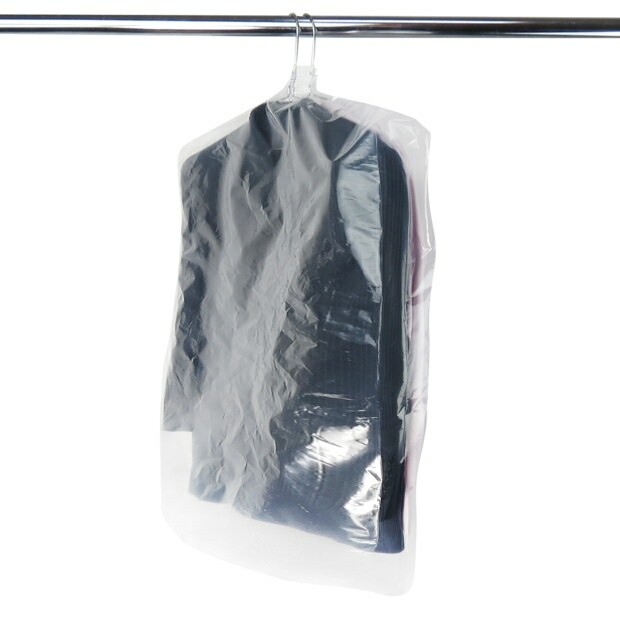 Clear polythene garment covers with side gussets - 96cm (38") long. Extra strong polythene at 250 gauge. Re-usuable. Suitable length for adult shirts, suits, jackets, blouses & tops etc. Shoulder shaping and pre-formed hole for hanger hook. Size: Length x Width 38'' x 20'' (96.5cm x 51cm) approx. Excellent, good value Suit Covers.